The Trunk Traders area enables jumblers to clear lockers, sheds and garages and sell unwanted nautical paraphernalia from car boots. Thousands of bargain hunters are expected to flock to Beaulieu Boatjumble this Sunday, 23 April, to browse hundreds of stalls and stands selling both new and used kit, clothes and craft. 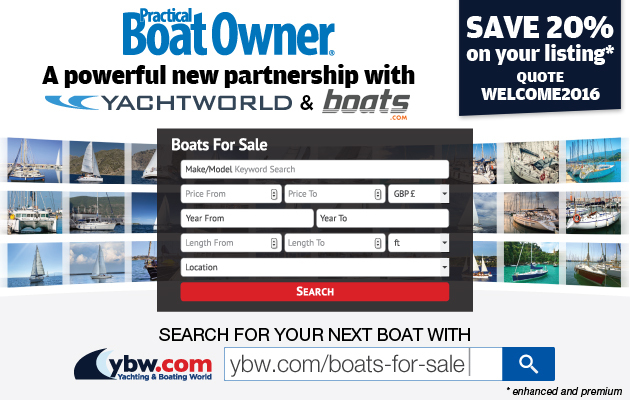 The event will mark Beaulieu’s 40th boat jumble and event sponsor Practical Boat Owner magazine will also celebrate our 50th birthday at the show. Don’t miss free practical boating talks and demonstrations! PBO’s Ask the Experts Live event is returning to Beaulieu Boatjumble for a third year. The schedule includes demonstrations for cooking on board, the art of anchoring, DIY, maintenance, repairs, how to read the skies, electronics and an RNLI lifejacket clinic. The talks, which are sponsored this year by Sika, will run from 10am to 4pm, followed by an Experts’ Question Time until 4.30pm. All are welcome, we look forward to seeing you there. In the Boatmall you can hear first hand about the Ocean Brothers’ challenge to raise £100,000 for the British Skin Foundation by rowing across the Atlantic in memory of their late father and stepfather. For those boaters in need of a clear-out, Trunk Traders s the ideal opportunity for jumblers to clear their lockers, sheds and garages and sell unwanted nautical paraphernalia from their car boots. You can turn up on the day as Trunk Trader stand holders – organisers say they still have a few stands left and can make more if needed! One thing to note is that only cars are classified as a small Trunk Trader – £39. Anything other than that – any panel van, or a car with trailer is a large Trunk Trader at £80. Event organisers are unable to accept any van over 6m, maximum height 2.7ms. and they must be panel vans and not dropsides, luton vans or vans with trailers or lorries – none of these are able to attend. Beaulieu events manager Judith Maddox said: ‘We now have over 500 stands and Trunk Traders booked in so a good full show and tickets sales are doing well. To mark this year’s landmark event children under 12 will be given free admission to the show for the first time, with a special reduced ticket price for teenagers. Showgoers can see up-close a selection of new and used boats for sale in Boatmart, while Boatmall offers a wide selection of the latest maritime products from leading manufacturers. Find the PBO Ask the Experts’ Live marquee by the main gate. David Wells, a catering, events and hospitality management lecturer at South Devon College, will be demonstrating how tasty, inventive dishes can be prepared on just one or two gas burners in limited galley space. Experienced cruisers Daria and Alex Blackwell, authors of Happy Hooking – The Art of Anchoring will be sharing advice on anchoring tackle, anchoring technique, tying up and rafting, anchoring etiquette, and anecdotes. Gary Thompson from WEST SYSTEM Epoxy from Wessex Resins will demonstrate how to repair holes in glassfibre boats. PBO sails expert Ian Brown from OneSails GBR questions why we need to actively trim sails and looks at the principal sail trim controls that influence sail shape and how the boat subsequently performs. Tom Edwards, technical manager at ASAP Supplies, reveals the major reasons for engine breakdowns and how to avoid them, using a demo engine kindly supplied by Hamble School of Yachting. Gareth from Sika concentrates on the correct procedure for bonding plastic windows, including cleaning, priming, and adhesive selection, plus the do’s and don’ts. Met Office weather forecaster Penny Tranter and her colleague Nick Ashton will share their knowledge of how to prepare for and respond to impacts from the weather. PBO tester Alan Watson will once again be manning a stand to offer his expertise about electronics on board – particularly radar and navigation systems, supported by Raymarine. The RNLI Community Safety team will return for a third year to host a free lifejacket clinic throughout the day. David Monks, who is a Community Safety Officer for Central Solent (and therefore Beaulieu) said: ‘The Boatjumble is a highlight of our local calendar and the RNLI generally and the local Community Safety Team in particular look forward to this as a ‘kick off’ to the season. 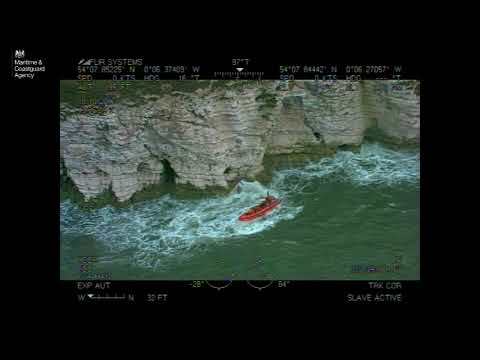 ‘As in previous year’s we will have experienced Community Safety Advisors on hand conducting Lifejacket Checks (and showing owners how they can check for themselves) as well as promoting our Advice On Board checks, Calling For Help, Man Over Board Recovery and numerous other topics). The Boatjumble starts at the new opening time of 10am and closes at 4pm. Under-12s go free but please note, they will still require a ticket. For more details on Boatjumble, including tickets and prices, click here.